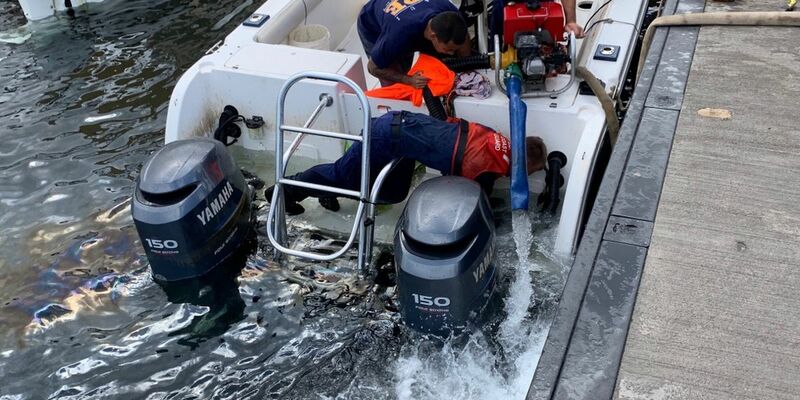 LAHAINA, MAUI (HawaiiNewsNow) - Coast Guard crews worked alongside rescuers from the Maui Fire Department Friday to assist a vessel that was taking on water off the Lahaina coast. Officials said a 22-foot recreational vessel began taking on water Friday morning. The boat had 10 people on board and weather conditions were reported to be rough. Those on board were rescued and the boat was eventually towed back to shore.